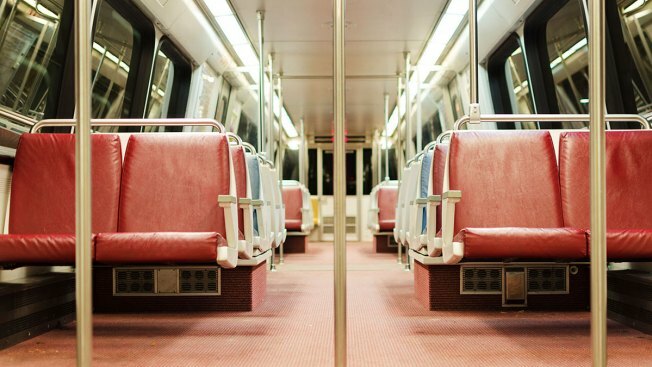 A man with a BB gun ran away from police on Metro train tracks. A man who had a BB gun evaded authorities Sunday after jumping onto the train tracks at the U Street Metro station and using an emergency hatch, authorities said. Officers responded to the U Street station about 5:30 p.m. Sunday for a report of a man with a weapon aboard a northbound train. As officers approached, the man fled and ran onto the Green Line tracks toward the Shaw-Howard University station, Metro said. The man had a BB gun, which was not displayed or used, Metro said. The BB gun was found at the scene. Metro Transit Police discovered an emergency hatch open in the area of 8th and U streets NW but did not find the suspect. Other officers responded to the Shaw station, but the suspect left the tunnel elsewhere. "Metro Transit Police searched the area but were unable to locate the individual," Metro spokesman Richard Jordan wrote in an email. Green Line service was temporarily shut down between Georgia Avenue and Mount Vernon Square during the incident. The third rail was also shut down. The investigation to identify the suspect is ongoing.